The LG G4 may not even be available for pre-order yet, but it's never too early to start shopping for a case to protect your new smartphone. Spigen, a manufacturer of premium phone cases, is having one heck of a sale on Amazon today with cases for the newly announced LG G4 discounted by up to 80 percent. A selection of different styles are available with varying levels of protection. In order to receive the discount, the code listed below the product link must be entered at checkout. The items ship free with Amazon Prime or with a purchase of $35 or more. With prices this low you might even consider buying two or three distinct styles to have on hand for different occasions. 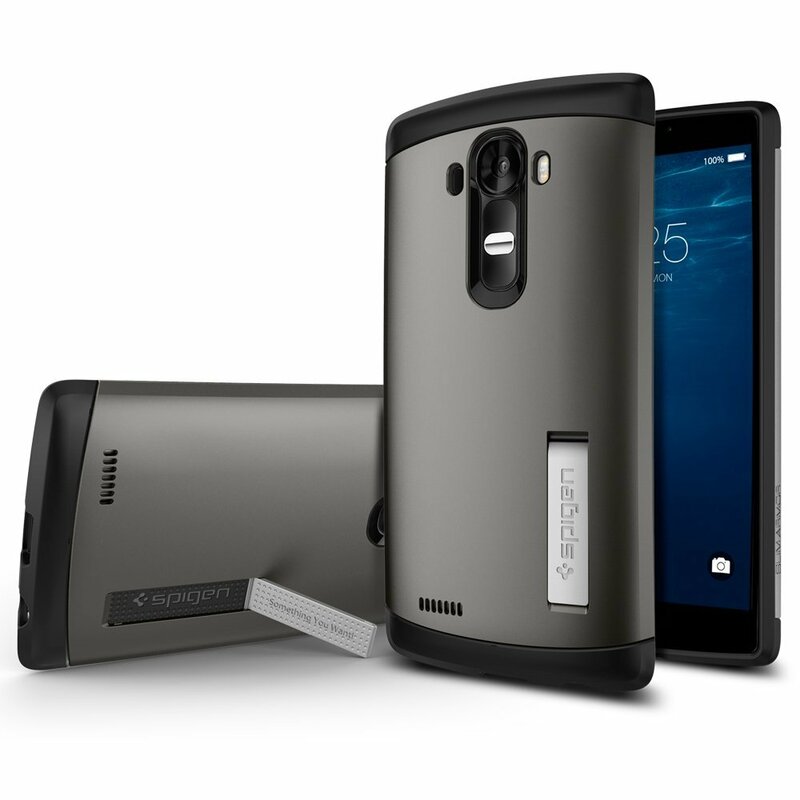 One word of caution – I'm not sure if standard cases such as these will be compatible with the LG G4's leather back, so if that is the model you want you might want to hold off on ordering. Then again, these cases are so cheap you really don't have much to lose. Spigen also has cases on sale for a number of other new(ish) Android devices including the HTC One M9, the Nexus 6, and Samsung Galaxy Note 4. Click the source link below to check them out.